Putnam; NY; 1966, 1966. folio; no djs; cloth, bindings good, page edges starting to yellow, vol. 1, 351 pages. first english language edition. 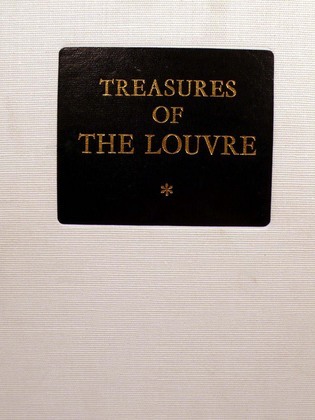 A collection of many of the best works from France's Lourve Museum. Hundreds of photographs and illustrations, chronological time-line of the periods of history covered, extensive preface by Jean Charbonneaux, the Lourve's director, and text by the editors of Realities. Endpapers are decorated with a pale, gray illustration of the Lourve museum.